The archive files 6 different density, intensity and traffic behavior. 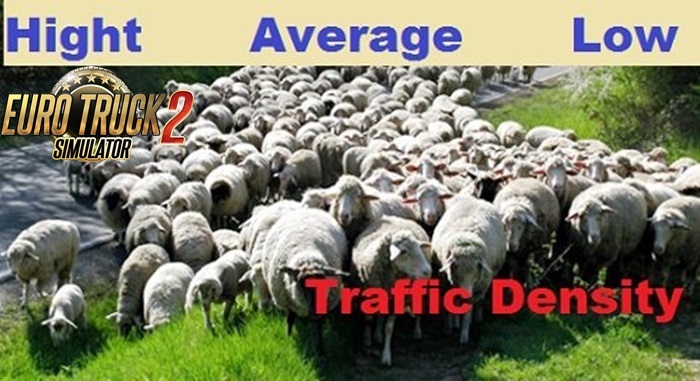 Ask their frequency and density for different types of roads and different types of vehicles. Sewn its rules of conduct, in the cities of the traffic intensity a little lower. Prescribe the queue at the gas station (does not work on all modules) and an increased likelihood of traffic congress in unusual places: parking lot, ports, terminals, filling stations. 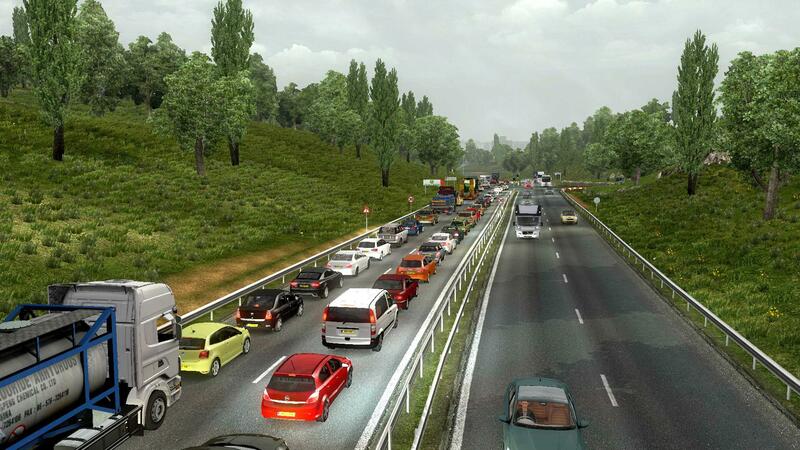 It reduced the estimated distance of oncoming traffic flow for a more dynamic overtaking. 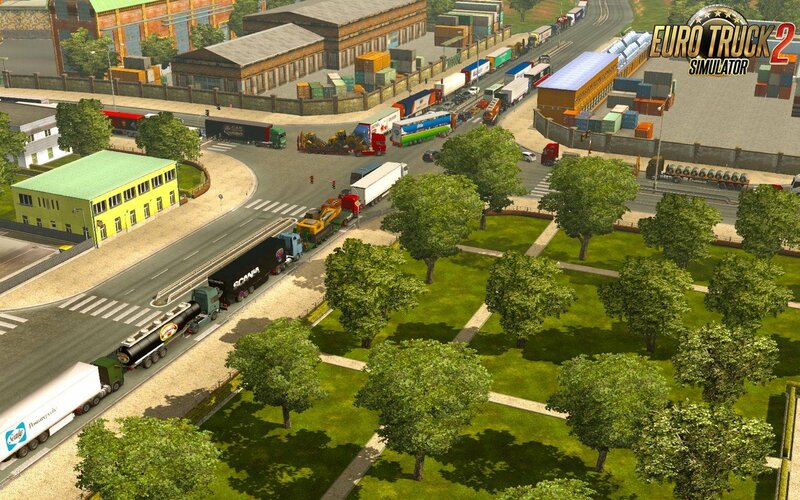 Increased traffic speed at transpositions and rotations. Each file has a speed limit painted on 72 countries. Separation by type Vehicle in mind and roads: local, and motorways. 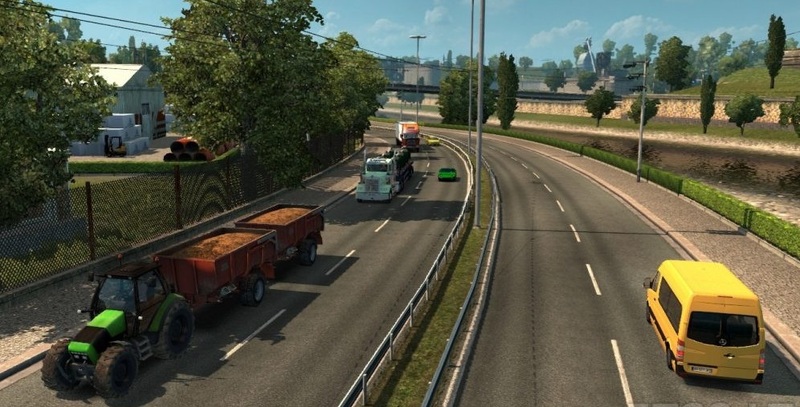 Local 120 (60 city), line 120 (70 city), highway 150 (City 120) km \ h.
All files are adapted for use with ProMods.